I came across an old article today that completely explains my personality. Never have I seen it explained in such clear and concise terms. The article is called Caring For Your Introvert and it was written by Jonathan Rauch back in 2003. It is a wonderfully detailed expression of how life is for me every day. I always thought that "shy" was the word, but I'm really not "shy." I have no problem talking to anyone anytime. I just may not want to. "Quiet, friendly, responsible, and conscientious. Committed and steady in meeting their obligations. Thorough, painstaking, and accurate. Loyal, considerate, notice and remember specifics about people who are important to them, concerned with how others feel. Strive to create an orderly and harmonious environment at work and at home." That is totally and completely me. For the first time now I feel like someone gets it and I am elated. I AM NOT ALONE!!! 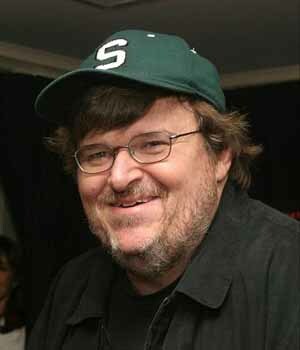 Please be sure to click THIS link and read Michael Moore's humorous and touching endorsement of Barack Obama. Very funny, and very true. Quote 1: " ...I want to say a word about the basic decency I have seen in Mr. Obama. Mrs. Clinton continues to throw the Rev. Wright up in his face as part of her mission to keep stoking the fears of White America. Every time she does this I shout at the TV, "Say it, Obama! Say that when she and her husband were having marital difficulties regarding Monica Lewinsky, who did she and Bill bring to the White House for 'spiritual counseling?' THE REVEREND JEREMIAH WRIGHT!" Quote 2: "Pennsylvania, the state that gave birth to this great country, has a chance to set things right. It has not had a moment to shine like this since 1787 when our Constitution was written there. In that Constitution, they wrote that a black man or woman was only "three fifths" human. On Tuesday, the good people of Pennsylvania have a chance for redemption." Just another reason to love him and his "truthiness!" Check out this article from Monday, April 14 on CNN's Political Ticker. Then be sure to read the comments following the article. HRC may be in for a real awakening in Pennsylvania next month. If she loses, or even if she wins by a small margin, it will be time for her to concede the race. The party needs to unify and the country needs Obama to lead! In 1961, a young African-American man, after hearing President John F. Kennedy's challenge to, "Ask not what your country can do for you, but what you can do for your country," gave up his student deferment, left college in Virginia and voluntarily joined the Marines. In 1963, this man, having completed his two years of service in the Marines, volunteered again to become a Navy corpsman. (They provide medical assistance to the Marines as well as to Navy personnel.) The man did so well in corpsman school that he was the valedictorian and became a cardiopulmonary technician. Not surprisingly, he was assigned to the Navy's premier medical facility, Bethesda Naval Hospital, as a member of the commander in chief's medical team, and helped care for President Lyndon B. Johnson after his 1966 surgery. For his service on the team, which he left in 1967, the White House awarded him three letters of commendation. What is even more remarkable is that this man entered the Marines and Navy not many years after the two branches began to become integrated. Who is the real patriot? The young man who interrupted his studies to serve his country for six years or our three political leaders who beat the system? Are the patriots the people who actually sacrifice something or those who merely talk about their love of the country? After leaving the service of his country, the young African-American finished his final year of college, entered the seminary, was ordained as a minister, and eventually became pastor of a large church in one of America's biggest cities. This man is Rev. Jeremiah Wright, the retired pastor of Trinity United Church of Christ. He earned the right to speak, just in case one may think that just being an American is not enough! Check out my friend Heather's blog to access Barack Obama's Plan to Strengthen Workers' Retirement Security in Pennsylvania. During this volitile time when Sen. Clinton is trying so hard to make Sen. Obama seem insensitive to hard workers like you and I, Sen. Obama is working on a plan to make life easier for everyone. Check it out for yourself. And then cast your vote for Barack Obama! Clicking the title above will take you to Barack Obama's website where you will find a very heartfelt letter from smalltown leaders throughout Pennsylvania that support the Senator and his views on "politics as usual." Read the letter. You will see that Sens. McCain and Clinton are, once again, pulling Senator Obama's words out of context in order to make him appear insincere and dishonest. But the people of Pennsylvania aren't fooled. (Look at how many signatures decorate the bottom of this letter!) You shouldn't be either. A vote for Obama is a vote for a new (read: better) America. Don't be fooled. Give this man a chance to change the world. Here is a wonderful article by The Root's Christopher Wills about Barack Obama's patriotism. This after Karl Rove tried his best to re-expose Sen. Obama for not wearing a flag lapel pin right after the 9/11 tragedy seven years ago. Those of us that support the senator know that he is extremely loyal to this country and its citizens. That is one of the reasons that we believe so strongly in him. For those who love reassurance and for those who doubt, click here. Do you like the flavor of lemon? If so, click here to try a FREE sample of True Lemon. They also have True Lime. They come in packets (perfect for bottled water) and shakers (great for cooking!) No sugar, no fat, no carbs. Just clean, refreshing lemon or lime flavor. Please take five minutes to read this extremely emotional article written by "The Color Purple" author Alice Walker. She is able to express many of the feelings that I have had for so long about this election and this candidate with the obvious eloquence of a gifted story-teller. I marvel at her words and appreciate her support. Enjoy! Hillary Clinton has managed to tell another whopper, although this time around it's not an exaggeration of her experience, just a tale to heighten sensitivity about the country's healthcare issues, at the expense of the reputation of an Ohio hospital. You can read the full news article here. Enjoy! Incidentally, here's an hysterical commentary by Great Britain's Mark Steele called, "You Couldn't Make It Up (unless you're Hillary, that is)." It's brilliant! I was born one month and five days after the assasination of Dr. Martin Luther King. Whenever I think about this fact, I imagine my mother, eight months pregnant with her first child, watching the world of civil rights change right before her eyes. The feelings of devastation my parents must have felt losing the man that everyone had put so much love, trust, admiration and confidence in to move the world past the turbulant times it had been experiencing. Forty years later, admittedly, things have changed for the better. My children have never had to battle racism straight on. We moved them to a "good" community and put them in "safe" schools. Not only do we teach them tolerance for children of other races, children with disabilities, children of other religions, we actually teach then about those races and disabilities and religions so that they understand; so that they learn to empathize rather than sympathize. And for the first time in history, we had a viable contender of African descent being considered for the Presidency of the United States. He isn't a fluke or a token or a red herring. He's the Real Deal and he could actually win! He's a regular guy; a very smart man with a good heart. And yet people are still considering John McCain for this country's highest office. Also smart and I'm sure he also has a good heart. But he's old-school. His heart is still telling him that Blacks are not yet equal, not really. And the funny thing is that when you get to "know" Barack Obama, when you hear the things that he has to say and read the things that he is trying to teach us, you realize that his ethnic background doesn't really matter, aside from the fact that it molded him into the man that he has become. It's his heart that matters. Can we say the same about McCain? Click on the title above to visit ColorOfChange.org and read about John McCain's voting record regarding civil rights in this country. See what his heart is telling you. In a limp attempt to discredit Barack Obama's patriotism, Bush-baby Karl Rove is trying to revive the whole "Obama isn't wearing a flag pin" controversy from 2001. 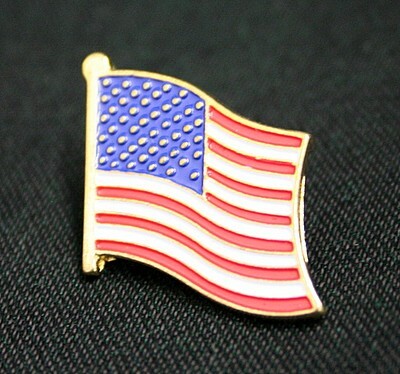 Sen. Obama had a perfectly logical and reasonable explanation: "After a while, you start noticing people wearing the lapel pin but not acting very patriotic,” he said then. “My attitude is that I'm less concerned with what you're wearing on your lapel than what's in your heart. You show your patriotism by how you treat your fellow Americans, especially those ones who serve." Since then, Sen. Obama has more than demonstrated that he is both patriotic and capable and loves and cares for this country. This is merely Karl Rove's backended way of putting himself back in the spotlight and giving McCain a much-needed push in the only area where he seems to have any chance of making waves: his service to the country. Good try, Mr. Rove. But we're not buying what you're trying to sell! Oh, by the way... Sen. Obama received an endorsement yesterday from Former Indiana Rep. Lee Hamilton. Who's he? He was chairman of the Foreign Affairs and Intelligence committees, AND was vice chairman of the Sept. 11 commission. Patriotic enough? Barack Obama has pledged to try to increase federal funding for Autism research to $1 billion a year by the end of his first term in office. Click the title above to see the details of his proposal. Yet another reason that Barack Obama should be our next President. Jordan has a list of requirements that he needs to satisfy in order to earn his Wolf Badge in Cub Scouts this week. One of the requirements was to cook a meal from beginning to end. With a little supervision, he made capellini with meat sauce and garlic toast. He even dished out his own plate. Here he is holding his own creation, Great job, Jordan! What is happening with our kids? A story ran today about a class of third grade students in Georgia that banded together to either hurt or kill their teacher. The kids actually brought weapons, duct tape, etc. to school. There is no reset button in real life. Super Smash Bros lets you go to a different battle if you lose. Lego Star Wars characters are easily re-built when they take a hit. Life isn't like that and kids need to know the difference. But are these types of games teaching our kids that violence is the answer? When we were kids, our video games never killed people. Aliens, centipedes, minotaurs, but never people. Even cartoons, which are now on 24/7 need to be screened for content by parents. Do I think that I was psychologially affected every time Bugs Bunny dropped an anvil on an unsuspecting Daffy Duck? Of course not. I laughed and I got over it. But cartoon characters Billy and Mandy hang out with the Grim Reaper. Death is their friend. What message does that send to our kids? "Among the outstanding invoices for February recorded by Clinton's campaign were nearly $229,000 to Aetna Healthcare of Chicago and almost $63,000 to CareFirst Blue Cross Blue Shield of Baltimore for employee benefit coverage. Carson, the Clinton spokesman, said no health-care coverage for any employee was interrupted." She's running out of money and begging her friends for more while the "regular" people are still supporting Barack with open hearts and open wallets, even if it's just $25, $50, $100 at a time. If he can elicit this much excitement and support as a nominee, imagine what he can do as President.